It's not just some unfounded stereotype that video game controllers have gotten more complex over time, just look at this fantastic chronological illustration. 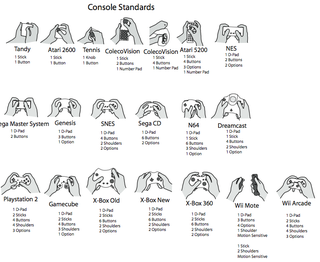 The controllers are offered in proper scale with each set of hands sized identically. And we see, while controllers have gotten more complicated, they've also grown larger—though we look to have peaked back in the last generation (if you discount arsenal of peripherals you'll find in Rock Band or GHIV).